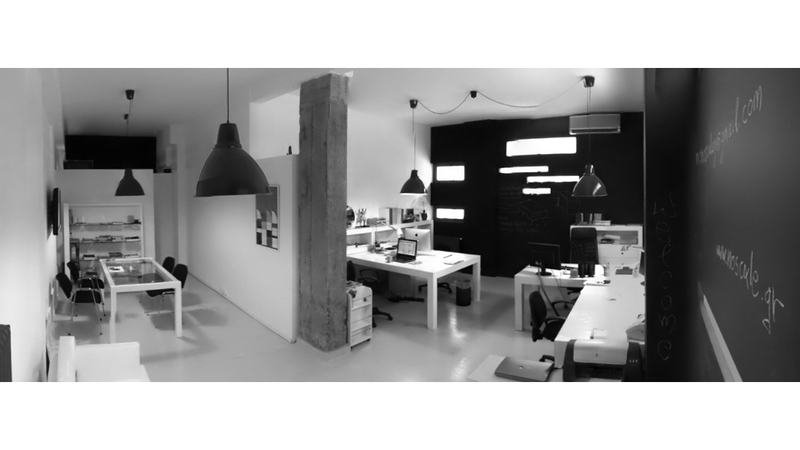 Design team: Klepkos George – Paschalidis Stavos – Paschou Monia – Plastiras Nikolas – NoScale team. 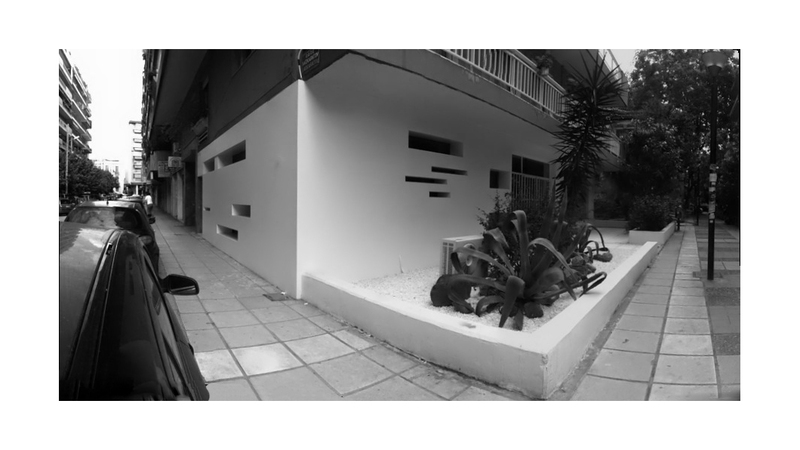 Our Project is about the renovation of a small ground floor space in Thessaloniki Greece. 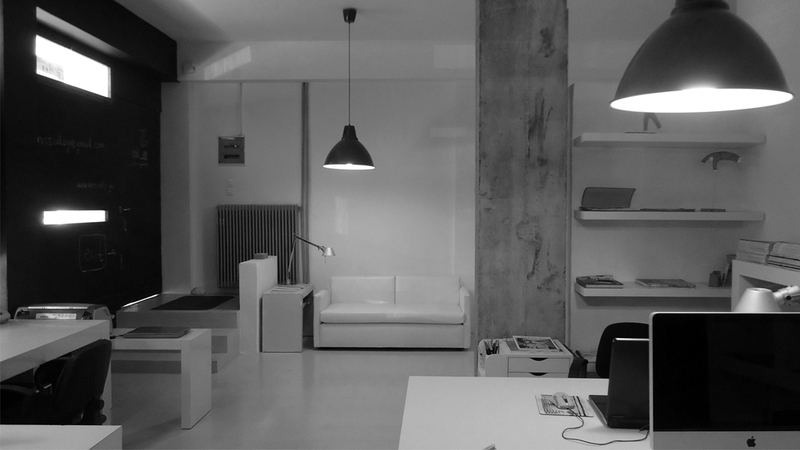 The space used to be a furniture shop with big glazed screen and out task was to transform it to an architectural office. Our goal was to achieve privacy and safety for the people working inside but at the same time provide them with natural light in order to work pleasant. We decided to cover the whole facade with a new solid skin that would work as a new layer and at the same time would give us the chance to work with new openings the way we want them. 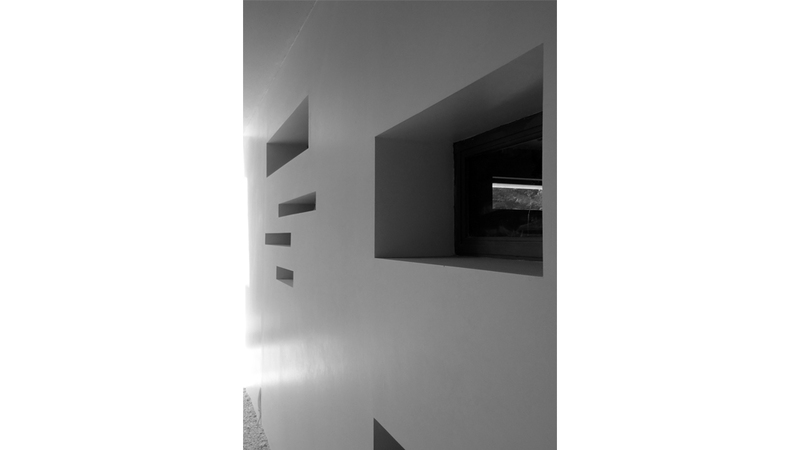 At the height of 3 meters, big, horizontal openings were created along the elevation in order to bring natural light inside the office during the day. The openings become less and smaller in order to play with the views from and to the office. The fact that the office is 0,50 meters lower than the pavement outside gave us an extra advantage in the way we organized our openings. 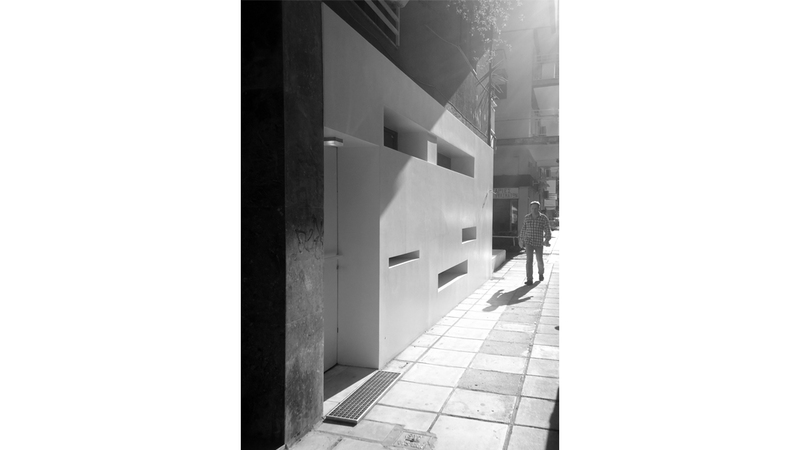 A horizontal zone between 1,30 and 1,80 meters was kept totally blind without openings, so that pedestrians walking outside could not see inside. On the other hand openings at the height of 0,90 meters work perfect for the people inside, because given the fact that they are already 0,50 meters lower, they have perfect exterior views. The interior was treated as a whole. The only interior walls concern the kitchen and the W.C. 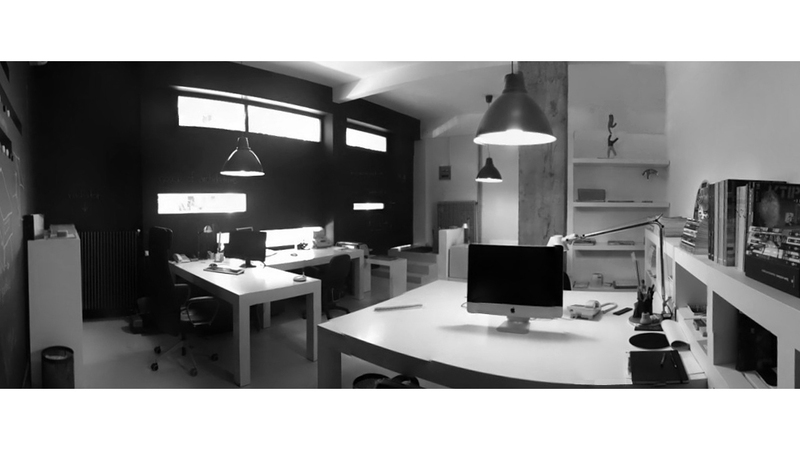 The rest of the office is one space where people work, meet and discuss. 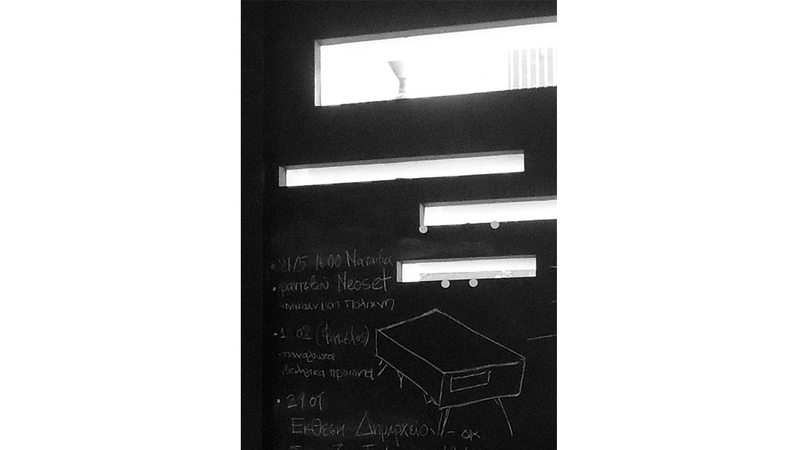 In our effort to design sustainable, we decided to paint two big walls with the technique of the blackboard. 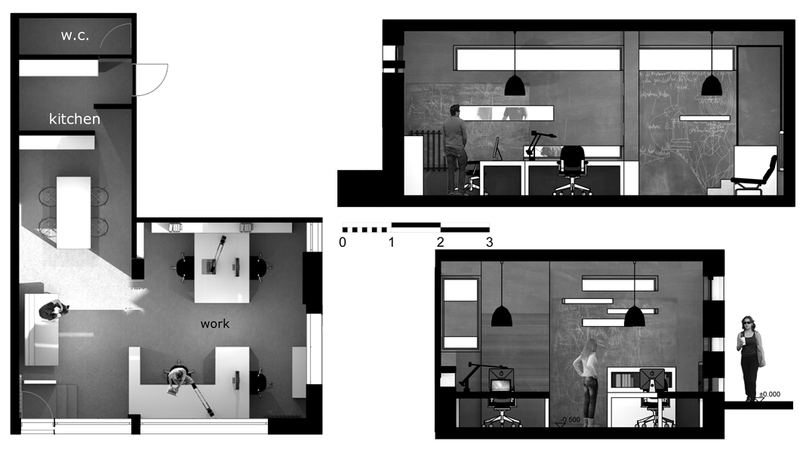 All conceptual ideas would be drawn on them, and discussed by the office to become projects. Furthermore instead of printing, a projector would be used for appointments with clients in order to use as less paper as possible. 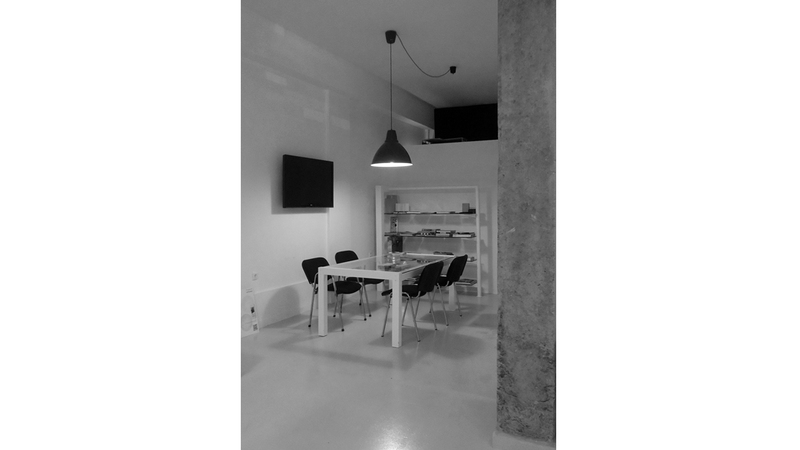 The interior has been decided to be painted white, remain neutral, and allow the work of the architects to “decorate” the space. At list but not last a columns found at the middle of the space has been kept at its primitive form, reinforced concrete, in order to remind the architects the foundation of construction at all times.